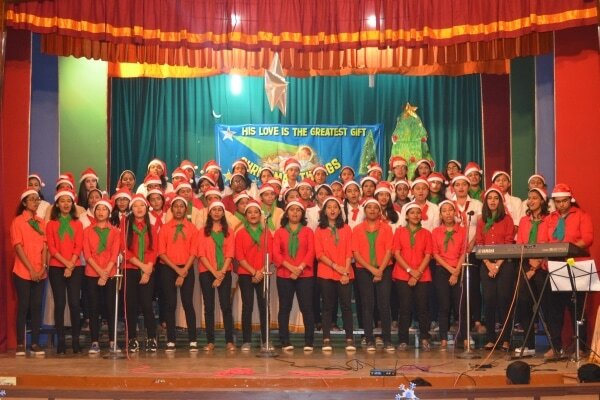 Every year the College organizes NAVIDAD programme. The objective of this programme is to instill in students the spirit of sharing and caring and to help the economically backward in society. The project, started in the year 1998, has provided homes for the support staff and the needy students of the college for the past 20 years. 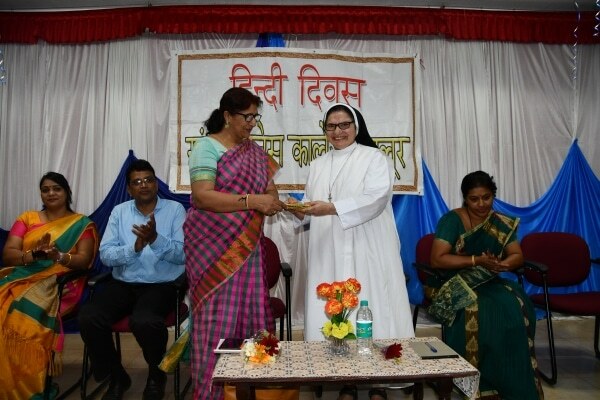 Over the years this thoughtful mission of the College has made an impression on all stakeholders of sharing in the joy of the less fortunate. A big difference to a number of homeless families. ‘Safe a Life’ through annual blood donation camp. The Blood Donation camps have been organized from the past 10 years and about 80-100 pints of blood collected and given to Blood Bank at Fr. Muller Medical College Hospital, Mangaluru. 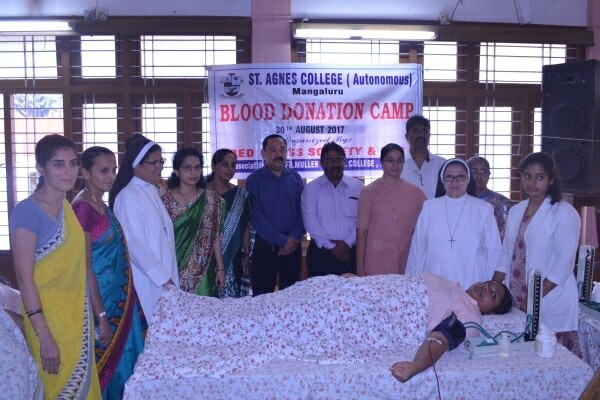 Besides, whenever there is an SOS call from any hospital, students generously donate blood to save lives. Fr. Muller hospital has recognized this noble cause and awarded a certificate of appreciation for donating blood continuously for the past years. 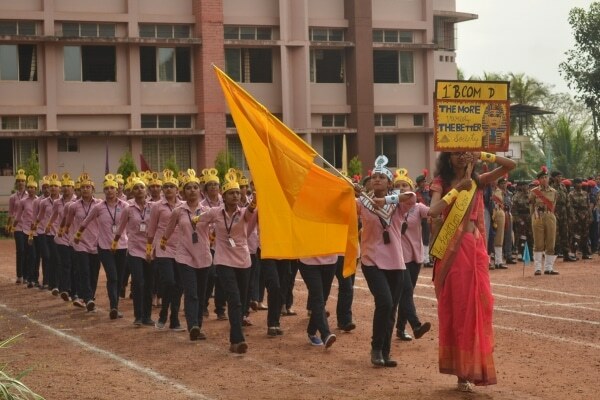 The annual magazines, calendar cover pages, sports day march past, college day programme and a number of other programmes and competitions reflect the essence of the UNO International themes. The Magazine Week gives a wider scope for the observation and celebration of the International themes. Educating final year degree students on various issues pertaining to marriage and family life. Under autonomy the IDBOS frames syllabus for the Value Education/Moral Science/ Religion classes. Under the mandatory papers in General Education special emphasis has been given for women’s education and gender equity. The IDBOS also monitors Add-on Courses, Certificate Courses and Extra Curricular activities. Students get an exposure to basic research and opportunities for internship and turn out to be independent thinkers with augmented job opportunities. 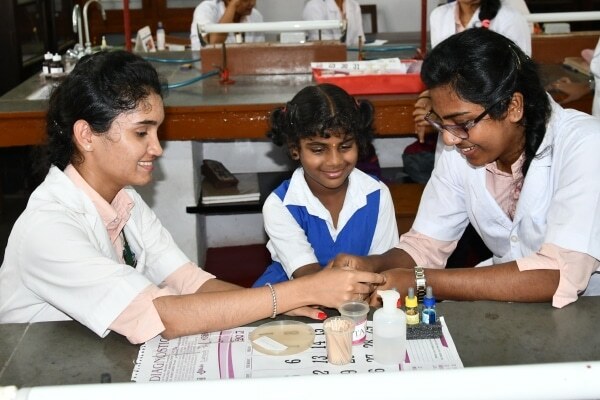 To move beyond academics and develop scientific temper, the department of Chemistry has taken up Sunday Science School Project for school children, a concept promoted by L-Green Ventures, Bangaluru in collaboration with Centre for Advanced Learning (CFAL), Mangaluru. The aim is to give hands-on experience and develop scientific literacy. The observation of the day helps popularise Hindi as the national language, creates awareness on career opportunities in Hindi and taps the creative talent in Hindi. Every department takes the responsibility to conduct prayer session every morning before the commencement of class.  The session includes prayer, message on a particular theme for the week with anecdotal references, thought for the day, news headlines and important notices. Student leaders are vibrant carrying out responsible tasks with conscientiousness. In addition to conducting various competitions/activities/celebrations, they offer their services to maintain discipline/cleanliness, to serve food at the canteen during peak hours and train the juniors for intercollegiate competitions. The stamp of excellence of these leaders is recognized on the Annual Day with trophies and certificates. 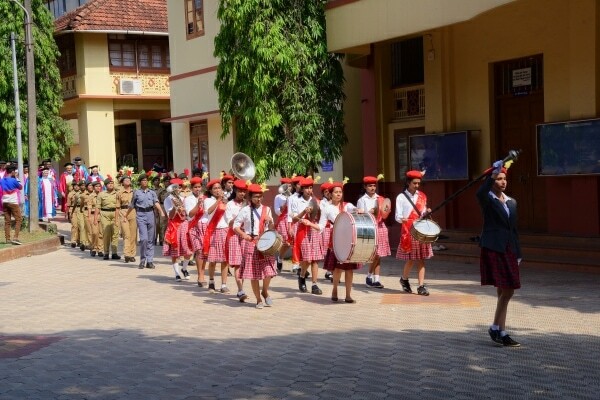 The college band, trained by an external expert, rises to every important occasion of the college with Guard of Honour, making the campus come alive with music and rhythm. On the Merit Certificate Day, the members get certified for their contributions throughout the year. St. Agnes Special School Vocational Training Centre enjoys the patronage of St. Agnes College which buys note books and hand-made flowers prepared by the differently abled children. 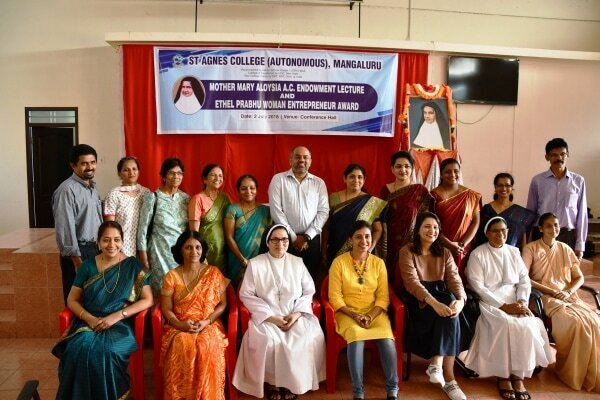 The Psychology Department aims to enhance the level of acceptance of the differently abled and to render service to the children of St. Agnes Special School by way of teaching, writing and reading. Art, craft, dance and music also come under the purview of the service by students. Manned entirely by Commerce students, under the supervision of a faculty member, the Helpline, true to its name, assists in supplying stationery and other requirements in the morning and during the lunch break. The profit is utilised to pay the examination fees of the students who generously serve their alma mater. The college shows its appreciation of the selfless service by honouring them with certificates on the Merit Day. 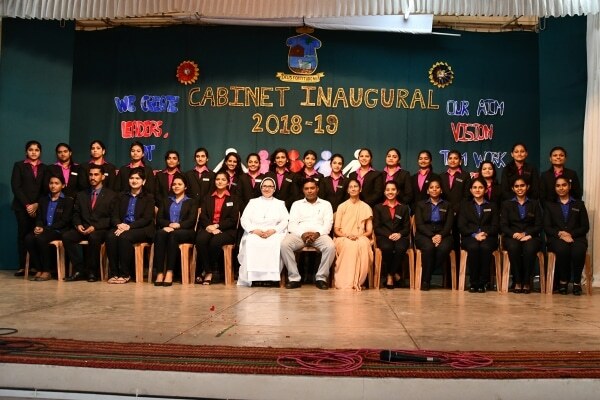 The college has adopted the Government First Grade College for Women, Balmatta under the Aptha Mithra Yojana of the Government of Karnataka, and has provided the facilities of the college to organise their programmes. The Alumni Scholarship has helped economically disadvantaged students to pursue higher studies. The Alumni Association is a strong global network and the parent association honours an Agnesian Achiever on the annual Agnesian Day at Home. The executive members conduct social service activities for the underprivileged and also bring out the annual newsletter The Agnesian. When Principals/faculty reach superannuation, saplings are planted to enhance greenery on the campus. 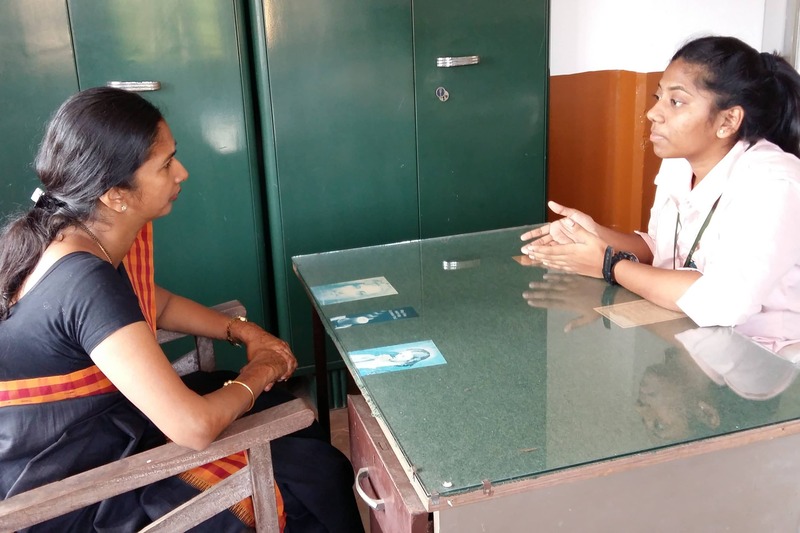 Carmel counselling centre at UG, Navchethana at PG provides counselling to different sections of society. Women’s Centre aims at empowering the less fortunate women and school drop outs through skill-based courses and Self Help Groups. 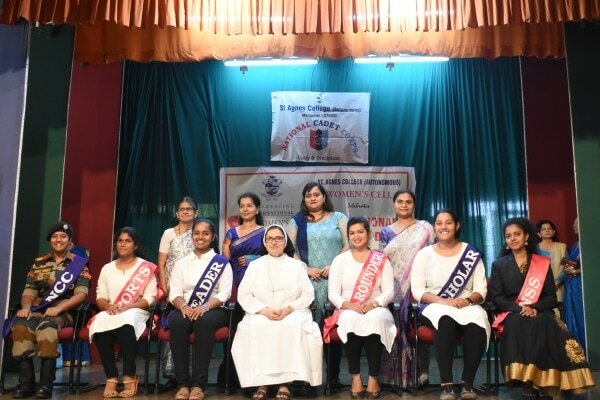 International Day for Women in association with the Women’s Cell and the alumni of the College is celebrated every year and four student achievers are honoured. The programme aims to make students aware of their blood group and understand the significance of each blood group/blood donation/Rh factor during pregnancy. The Department of Microbiology has performed blood typing for an average of 150 students every year. Every year in March/April the Internal Quality Assurance Cell conducts the Annual Academic Audit of all UG/PG departments and student support systems such as office, library, sports and canteen. Each IQAC member scrutinises the profile of two departments and offers suggestions for improvements. Official records such as attendance registers, work diaries, BOS/BOE records, CIA entries, ECA/Certificate/Diploma Courses, outreach/extension activities, conferences/workshops/seminars organised and attended, paper presentations and publications, remedial classes, innovative programmes for advanced learners, student achievements are inspected during the departmental visits. 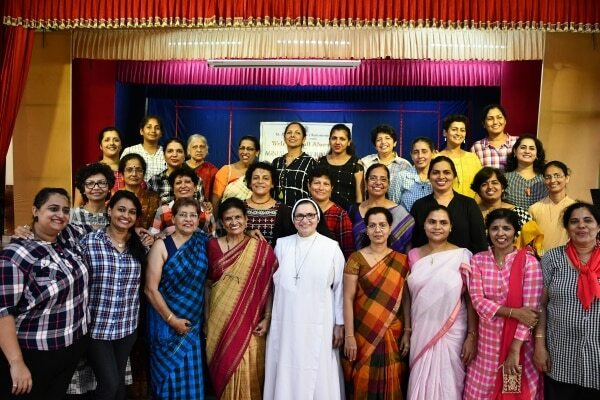 The ATC Project was started in 2015-16 with the objectives to inculcate in students a sense of social responsibility, to transform students into healthy individuals valuing right things in life and to ensure that the students going out of the portals of St. Agnes College will be the powerful agents of change at home and society. The Project has been introduced for the Final Year students in association with an NGO – Protection PADI. While academic excellence remains the focal point of the college, it also endeavours to give prominence to eternal values such as compassion, empathy and sensitive towards the less privileged people of the community. Different groups of students work under the guidance of teachers. On Saturdays, the Final Year students take up Community Service. There are four stages involved: Planning, Preparation, Execution, and Evaluation. 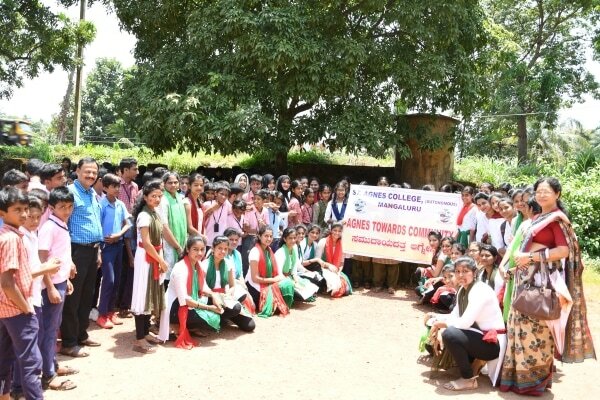 The students have successfully completed their service mainly under three heads: Creating awareness, Rural Development and Cleanliness under the banner – Swachcha Mangaluru. The students in 21 groups visited orphanages, rehabilitation centres and old age homes. They participated in the Safety Circle programme of ‘Project Angel’ creating human chain in the city to create awareness on girl child abuse and protection. 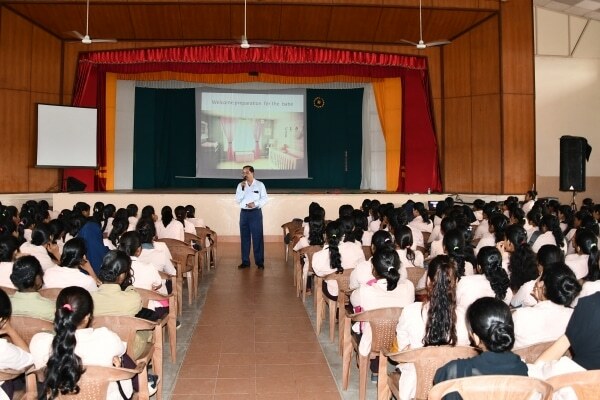 They organized cleanliness awareness programme in 21 schools by screening a documentary on “My Country, My Life”. The students were involved in various activities such as – Child Line Campaign, Girl-Child Safety and Child Protection, Open House Programmes for the Locality, programmes for Self-help Groups, Women Empowerment, Awareness on Social Evils; Awareness on Clean and Safe Environment through Watershed Management, Solid Waste Management and Recycling. In 2016-17 college collaborated with Canara Organization for development & Peace, Diocese of Mangalore (CODP) a NGO in Mangalore and conducted socio–economic status programme for all the houses in Bajpe , Mangalore through a survey. Having a three face dimension like Service, Education and Awarnesss, ATC felicitated two real heroes of Mangalore suburban villages – Shridhara Gowda Kengudalu, a Social Activist who is also an endo sulfan victim and Harekala Hajabba, a fruit seller who started a school in Harekala. In spite of being economically disadvantaged person, Mr. Hajabba donated Rs.5 lakh towards the development of the school. In 2018-19 the college continued its various programmes in the adopted villages. a. 100 fruit bearing saplings were planted at Bagambila Government School, Kutharpadavu. d. An awareness on the ill-effects of Deforestation, threats of using mobile phones at Munnur and Someshwar goverment schools. e. Students donated 8 mirrors to the various anganwadis of the villages. Besides, the NSS camps were organized in Munnur, Someshwar, and Harekala villages to strengthen the work done during the year.